Wind is moving air and caused by differences in air pressure within our atmosphere or we can say it is the flow of gases on a large scale. Wind is caused by uneven heating of the atmosphere by the sun, variations in the earth’s surface, and rotation of the earth. Mountains, bodies of water, and vegetation all influence wind flow patterns. Wind is also used to generate electricity. For the generation of electricity from wind, we use wind turbines. A wind turbine works the opposite of a fan. Instead of using electricity to make wind, like a fan, wind turbines use wind to make electricity. The wind turns the blades which connect to a generator and makes electricity. We performed this experiment in our Lab. For wind energy generator experiment we need one dc motor, one LED, one turbine which we rotate with fan or wind. 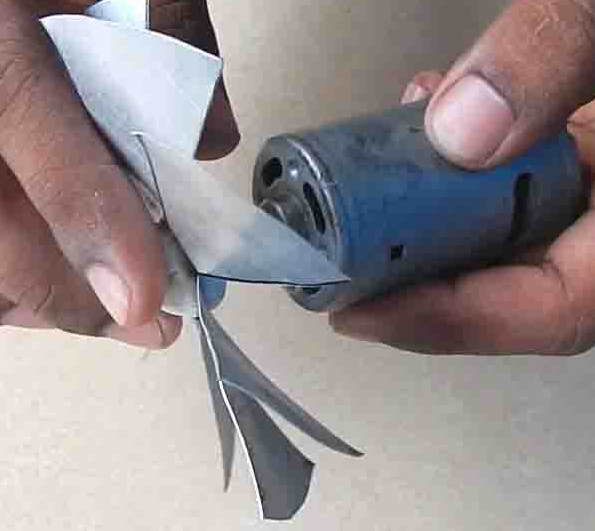 Make a turbine with either a plastic bottle or with cardboard. Stick the turbine to a stand. Fix the stand on dc motor with both of motor input current points are connected to the LED. Now, place the turbine in front of the electric fan. As the motor blade rotates, it rotates the shaft of the motor which generates electricity and the LED glows. We will post the video of the experiment soon. Basically, we are converting one form on energy to another (wind to electricity). 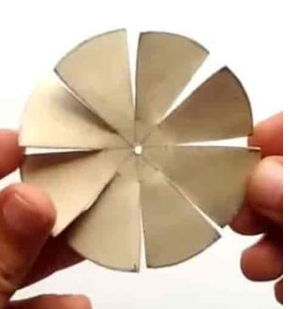 The magnet inside the motor rotates which induces the current in the motor winding using induction and this induced current give electricity to the connected led.